Students study specialized Performing Arts subjects across four streams; music, drama, dance and visual arts. They also complete the NSW standard curriculum requirements and achieve their HSC. 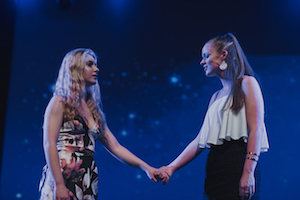 Australian Performing Arts Grammar School seeks to bring together young people of creative ability and provides inspirational tuition and the finest instruction in a trusting and encouraging atmosphere. APGS strives to offers an arts rich and rigorous academic education in an international environment that fosters excellence in performance and creativity. Academic subjects offered include: Mathematics, English, Geography, History, Biology, PDHPE, Music, Visual Arts, French, Business Studies, Dance, Drama, Modern History and Science. Current Performing Arts electives include; Songwriting & Practical Musicianship, Introduction to Musicianship, Songwriting/Arranging, Vocal Ensemble, Contemporary Music Ensemble Skills, Percussion Company, Vocal Techniques and Styles, Contemporary Instrumental Company, Vocal Performance Company, Contemporary Ballet, Self-Devised Composition and Choreography, Musical Theatre Company, Musical Theatre Technique, Contemporary Dance, Hip-Hop, Jazz, Drama Company, Scene Work and Individual Performance, Clowning and Movement for Actors, Set Design, Film Making and Body of Artwork. For students wishing to focus on Ballet APGS and Danceworks Sydney have partnered together to provide students with the option of completing elite ballet training whilst completing their academic studies. 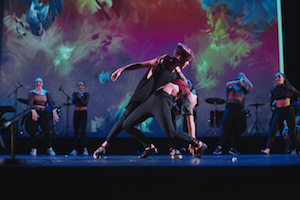 Dance tutors currently teaching at APGS include: Alice Robinson (So You Think You Can Dance, Sydney Dance Company, Australian Dance Theatre, The Australian Dance Festival) – Alice teaches Self Devised Composition & Choreography. Gaynor Hicks (The Illusionists Tour, NRL Half Time, Delta Goodrem Mardi Gras Performance, Independent music Awards, So you tink You Can Dance, Bonds TVC, The X Factor, Australia’s Got Talent, Music Videos for Hermitude and Red Foo) – Gaynor teaches Hip-Hop. Lauren Elton (Razzle Dazzle, All Saints, Dance Academy, The X Factor, Australia's Got Talent, The Dream Dance Company) - Lauren teaches Contemporary and Jazz. Talia Fowler (So You Think You Can Dance winner 2009, Queensland Ballet, Fame The Musical) - Talia teaches Contemporary Ballet. To start the enrollment process please visit our website and complete the Online Application Form. You and your child will be required to participate in an audition and interview in the year prior to your child's commencement date. Once your interview and audition are confirmed you will be required to produce documentation to support your application, details about this can be found on our website. Your child will be required to perform 2 contrasting pieces or excerpts of up to 3 minutes each maximum. Visual Arts students are to submit a portfolio of 8-10 pieces of their own work. You are welcome to provide a backing CD/mp3/USB for accompaniment purposes.